Another basis for the belief that the foreshore was public space was the increasing use of the beach as a site for recreation. This became more common in the early 20th century. I am almost 77 years old and have lived in Island Bay most of my life apart from 2 years where i was in Newtown. 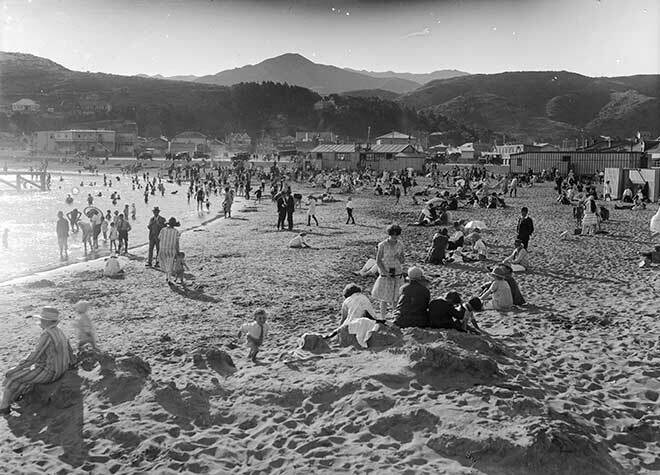 When I look at these old photos of how Island Bay was when i was younger it brings such a lovely warm memories to my heart.. I used to live at 353 The Parade until my parents brought their own house in Don Street. I am so pleased to be able to see some of the old memories i have, online so that the past is always with me.. For the people who put these memories together, I thank you from the bottom of my heart. Island Bay will always be my home .